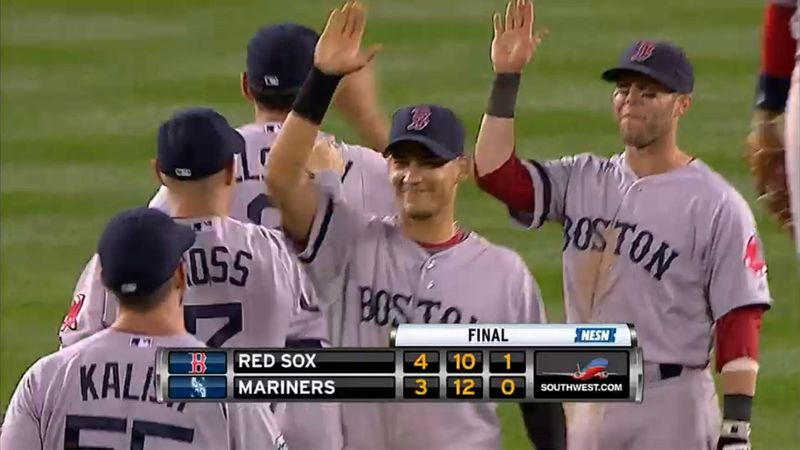 Cody Ross launched the ball into the Red Sox bullpen in the sixth inning. Ross followed Dustin Pedroia and Jacoby Ellsbury across home plate, tying the game 3-3. Ryan Lavarnway helped his battery mate with his first home run of the season, a solo shot with two outs that nearly hit Junichi Tazawa. It had been a long time since this has happened. I guess not everyone has checked out, Glenn Ordway. Not even Bobby Valentine, who was waiting for his son at the airport when the flight was delayed due to fog.